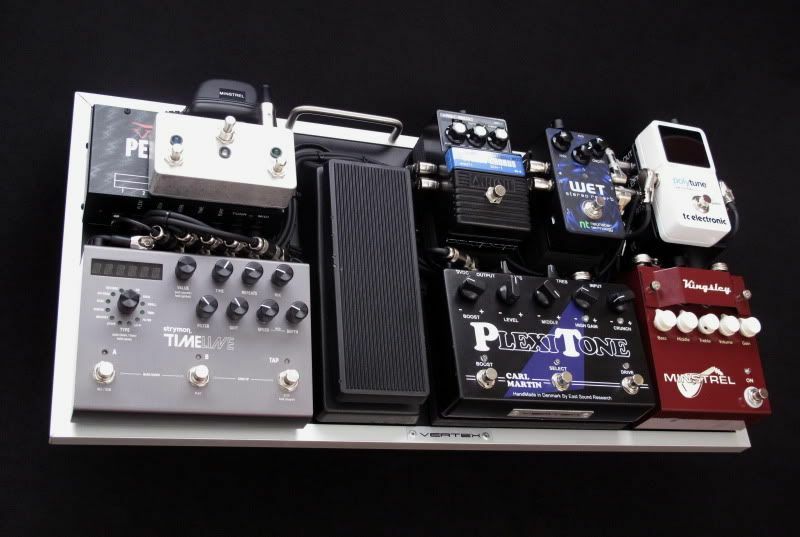 Here's a pedalboard that I did for my good friend Ken Vople of Ultra Sound Amp Sales in New York. 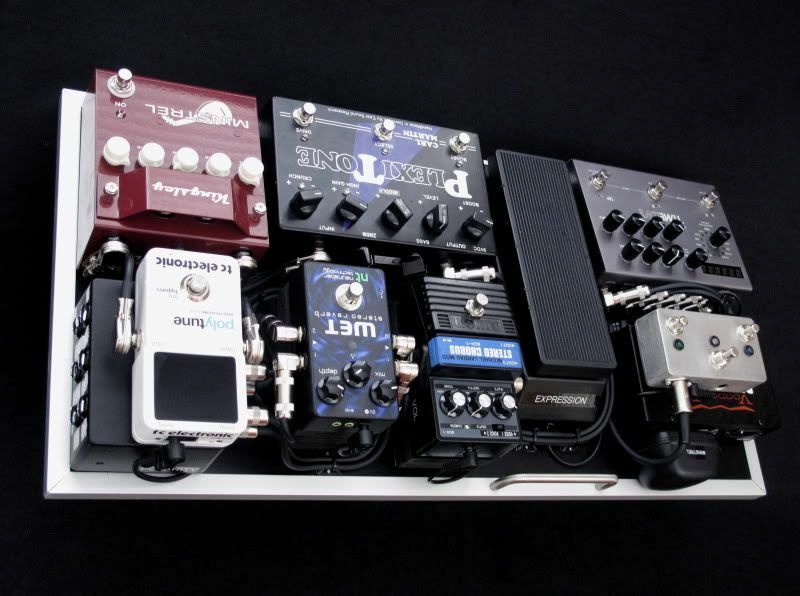 Ken wanted a board that he could use for an upcoming Gospel record that he's recording and for some other projects. 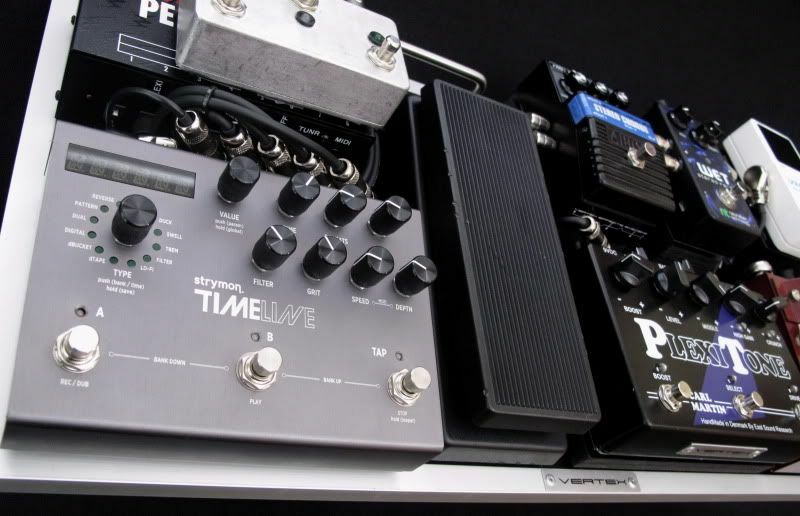 The intention of the board was to make an extremely compact pedalboard, with maximum expandability (it can network up to 4 amplifiers and an infinite number of effects through the effects break-out) . 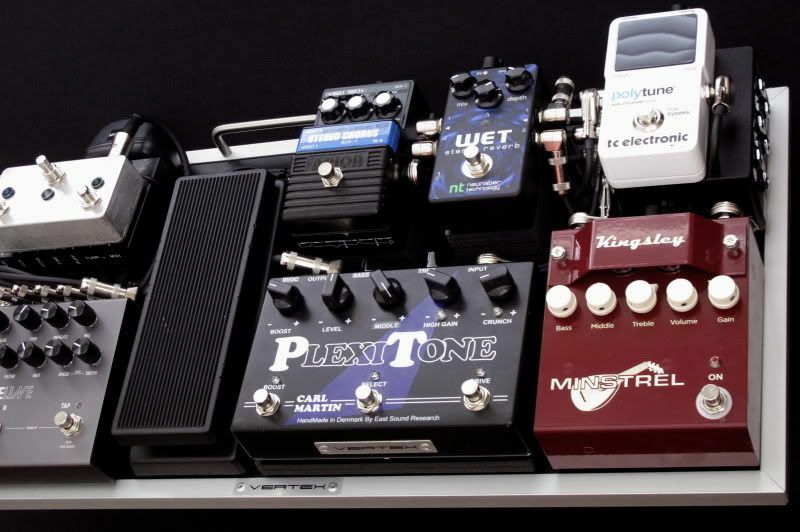 The dimensions of the pedalboard are 12" (deep) x 24" (wide). 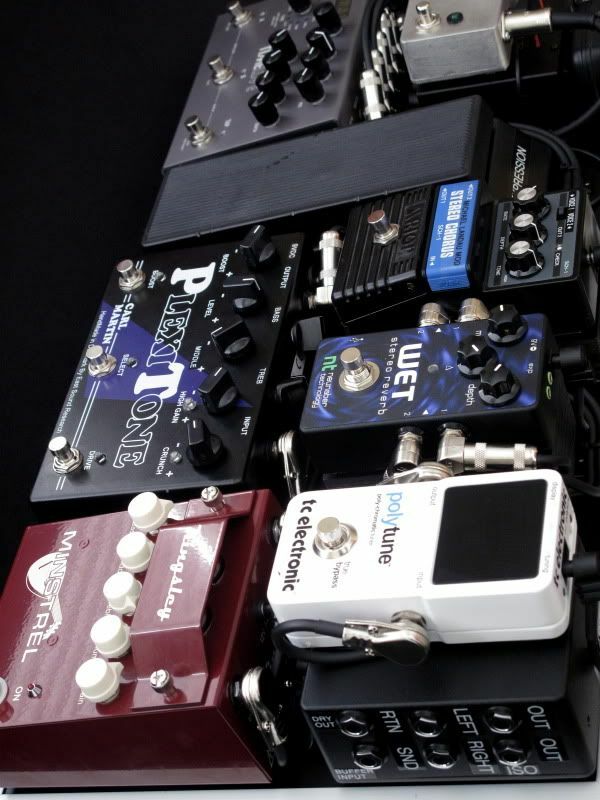 Vertex Tri-Buffer (one input buffer, three output buffers), Dry Output (splits the signal off of the guitar input buffer and sends to a amplifier without any effects for tracking purposes, specifically for mixing a dry amp back into a recording to add texture and depth to a guitar track), Effects Break-Out (separate send/return to insert a volume pedal, when desired, after the distortion pedals and before the modulation and time-based pedals), and Stereo Outputs (output buffers on both left and right outputs with an isolation transformer on the right output to prevent grounding issues and a polarity switch for optimum performance when using a stereo set up).